Brilliant Venus gleams during twilight this evening as seen from the Chicago area with a waxing crescent moon and Jupiter appearing lower in twilight. (To see Jupiter click the image to see it larger. The planet appears at the tip of the arrow.) The moon is 5 degrees to the lower right of Venus with Jupiter another half degree farther to the right. Notice the separation of Jupiter tonight compared it its position during the Epoch (close) Conjunction last Saturday. Here’s a preview of the Moon and Venus tomorrow evening. See our article about Venus’ evening appearance. See our article outlining the planets in the evening sky in 2016. 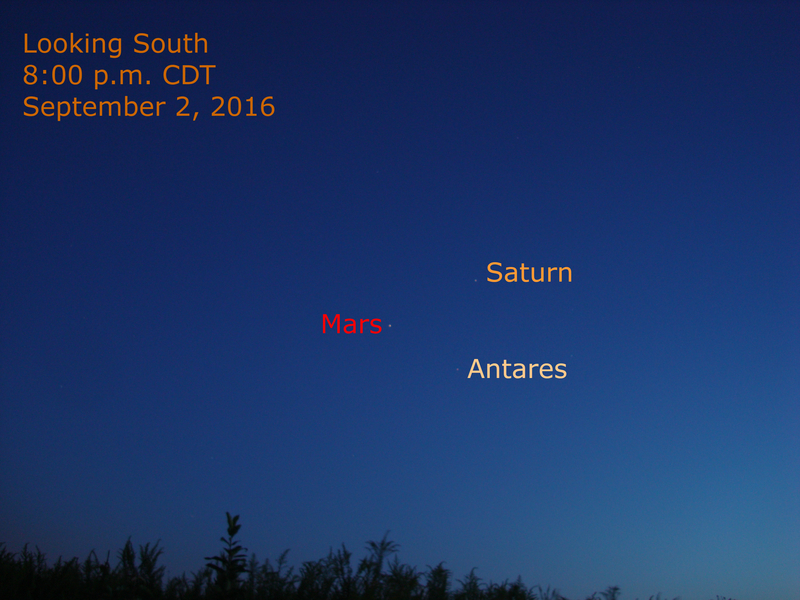 Meanwhile, Mars, Saturn and the star Antares appear in the south as the sky darkens. 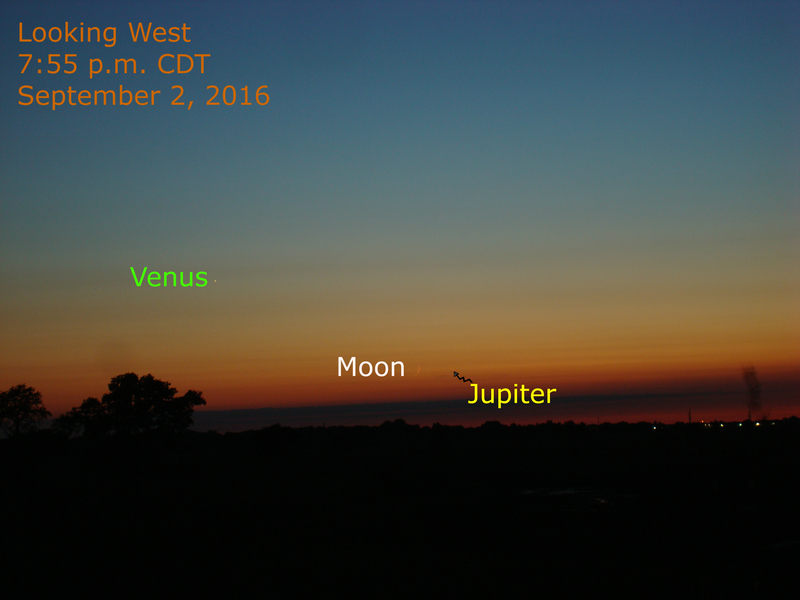 The trio is in the sky during the evening, setting in the west as they appear to move that direction during evening hours. Mars is advancing farther east compared to the starry background. Tonight it is 6 degrees from Saturn and 5 degrees from Antares.